There’s a great selection of used Mclaren cars available at here at Carsnip. We have 400 Mclaren vehicles available at dealers nationwide, making us the best place for you to find your next car. Our intuitive system takes the stress out of finding the ideal car – try it out and find a second-hand Mclaren at a dealer near you today. Founded in 19636, Mclaren are reputable British manufacturers of sports and luxury cars. Mclaren produce a range of models, split into three tiers: Sports, Super and Ultimate Series. 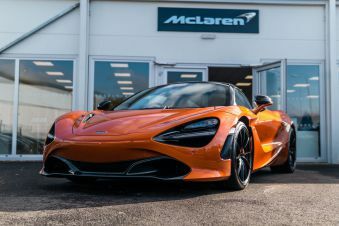 The Sports Series consists of the 570S Coupé and 540C Coupé; the Super Series, the core McLaren model range, is made up of the 675LT and 650S, both available in Coupé and Spider derivatives. The most exclusive McLaren range is the Ultimate Series, led by the McLaren P1 and P1 GTR.